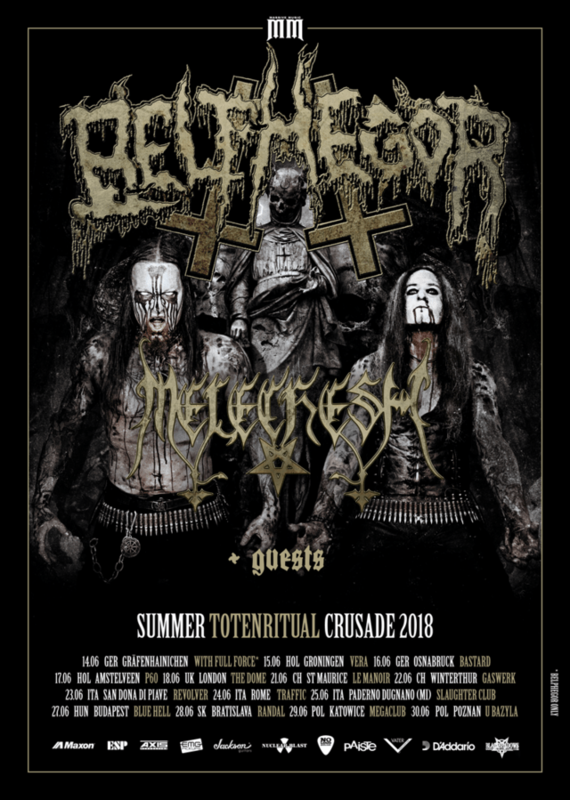 Diabolic death/black metal commando Belphegor have announced a headline tour through European territory once again, with direct support from Melechesh and guests. This run includes fourteen rituals in eight countries, kicking off at ingenious With Full Force festival in Gräfenhainichen on June 14th. Belphegor recently unleashed a lyrical performance video of “The Devil’s Son”, a song dedicated to the legendary violinist Niccolò Paganini (1781-1849), whose playing skills were so unique and virtuouso that he was told to have made a pact with the devil. Get your copy of “Totenritual” here.